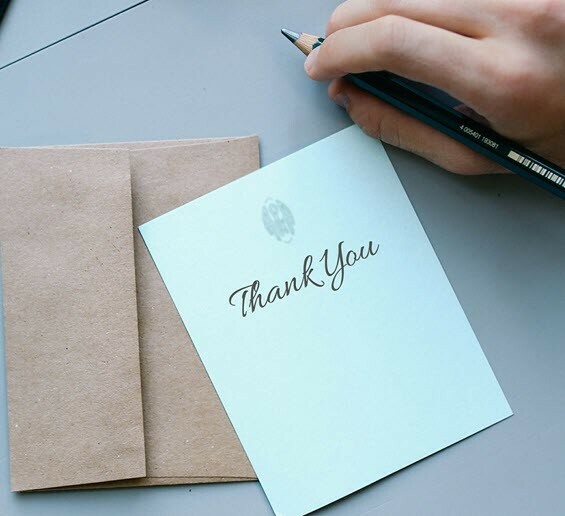 Saying thank you should go deeper and you should express more gratitude to customers. Research shows we are inhibited from saying thanks. Rude emails have an impact that goes beyond upsetting an individual. The stress of incivility in emails spreads to colleagues, friends and family. Content marketing is often seen as a means to an end – produce content and add it to a website. But you need to measure content marketing. People still love printed documents. If your business ignores print, you are missing out on its huge potential. Digital is useful, of course, but when people engage with content they mostly do that with printed items. Are people more likely to tell lies or be truthful online? It’s well-established that some of what you read on the Internet is not true. After all, the notion of “fake news” is rather popular..! But do people lie online or are they more likely to tell the truth? The fact is you are much more likely to meet liars in the real world than on the Internet. How important are colours on your website these days? Colours on your website trigger people to know it is you, assuming that they are primed for that colour recognition. Aligning your colour with your brand is more important than worrying yourself about so-called colour psychology, much of which is a myth and made up. Sharing your content is what you want me to do, isn’t it? After all, you want everyone possible to share your content. However, there are three significant reasons why your content is not getting as many shares as you would like. If you want more people sharing your content you need to take note and produce material that is more likely to be shared. Do you believe fake news? Do you even know what is fake? The chances are you believe things which are inaccurate or downright false because the information aligns with your personal views. Essentially, people believe fake news because they want to. Time management techniques do not always work. No matter what the time management gurus will tell you, it isn’t always possible to follow the rules about productivity or use the techniques that will supposedly transform your day. So what do you do when all time management techniques fail? Can you really be a self-publisher? Being a self-publisher is a dream for many people. For others, it is a reality as they produce their own books and place them on Amazon. But then the real issues kick in – marketing, PR, distribution. Few people who become a self-publisher think they’ll end up spending less time on writing than anything else. Mobile shopping is a hot trend at the moment. The web is buzzing with stats and data about the surge towards mobile shopping. Advertisers are pushing their efforts towards mobile too. It is as though the desktop is being ditched. Yet the desktop is responsible for more transactions than mobile. The headlines mislead. Is there a hidden bias in social media that is harming your business? Social media bias is well-known. The concept of “echo chambers” has been discussed widely in politics, for instance. However, the issue of bias on brand pages is also an issue. New research shows that brands are getting a biased view of their business if they use social media. Wetherspoon has shut down all it social media activity with immediate effect. Is this sensible? Is it a publicity stunt? Or is it the start of a trend where businesses re-evaluate social media and find it lacking? Psychological ownership is a familiar concept of consumer behaviour. If people think they already own something, they are much more likely to buy it. So you can get potential purchasers of anything you sell to feel more willing to buy if they already feel they own the product or service. By creating a sense of ownership, people are more likely to buy from you. The All Purpose Required Internet Limits (APRIL) are being pushed through in a hurry before Brexit so that online activity can be controlled. Already, plans are advanced and the Federation Of Online Limiters (FOOL) has been established. Artificial Intelligence and consumer behaviour go well together. Consumer behaviour is difficult to analyse as it varies a great deal. Often, you need in-depth studies to see what is going on. Artificial intelligence (AI) can cut through that and give you ideas on how to sell more. Hashtags are highly popular yet most are, frankly, useless. Some appear to be able to garner huge support, such as #metoo, but others fade into obscurity. Hashtags also polarise and change behaviour. So they might not be as valuable as we think. What now for the business use of Facebook? Facebook is under fire from all directions. Business investors are losing confidence. Governments are threatening legislation. Users are engaging less. We could be witnessing the beginning of the end of Facebook. Or we could be watching the emergence of a new style social network. Either way, there are huge implications. Is it worth working outside? Outside working could have significant benefits for your business. Research shows that we learn more and remember more when we are in the open air, than when we are inside a building. It seems that being indoors affects our attention. Will mindfulness help your online business? Mindfulness is increasingly popular. But is it just a fad or can mindfulness help you improve your online business? This article looks at the ways in which mindfulness can help your online business or your website.